Let Music Connection show you how to have the most fun at your next High School Dance! Music Connection strives to provide a positive influence on teens and young adults with “appropriate”, good, clean music, student interaction, dancing, and a lot of fun! Personal, Enthusiastic, Disc-Jockeys / Emcees – Music Connection’s personal and enthusiastic DJs love to have fun! Whether you want us to “turn it up” or “tone it down”, we can adjust our personality to the level you prefer. Some high schools prefer us to be more outgoing with audience participation, line dances, etc. to get their crowd going. Some high schools prefer us to “tone it down” with a more classy approach and let the music engage the crowd. And of course, some high schools like the DJ personality to be somewhere in between. You choose the style and we will adjust to your liking. We go out of our way to accommodate you! Best Music Selection –For teens and young adults at your High School dance, it’s all about the music. Music Connection’s DJs play a variety of current Top 40 songs as well as music from all eras that appeal to the student’s taste. We play “appropriate”, good “clean” music (which we sometimes have to edit ourselves). We take requests at the dance and play a variety of music all within the school guidelines. We also offer a Music Selection Survey that your school can fill out in advance to give us a better idea of what music your school likes to hear. State-of-the-Art Sound and Lighting Equipment – Using the latest technology in digital equipment, our high quality sound systems can accommodate smaller groups to crowds of over 1,000 people. The sound is crisp and clear and played at a controlled volume! Music Connection’s colorful stage lighting and special effects create an exciting and fun atmosphere where students can enjoy themselves in a safe atmosphere. 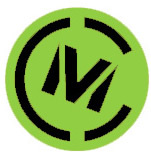 “ Magnificat High School has used Music Connection for all our semi-formal school dances and also for our Senior Prom for the past several years. The service has been very professional. The people associated with the Music Connection are great to work with. The disc-jockeys provided for each event have been prompt, personable, courteous, friendly, and professional. They know what our students like to listen and dance to and stay within “appropriate” school selections. They keep the function moving and provide the right kind of atmosphere that our students enjoy. They know how to motivate and interact with the students to keep them dancing all night. When we call Music Connection we know we can rely on them to deliver whatever is necessary to make our event a success. We would recommend them without reservation. “Music Connection is not only Chanel’s number one choice when it comes to Homecoming, Prom and “other dances”, but it is a family to us. Music Connection goes out of their way to bring not only the best in musical entertainment, but their professionalism, dedication to our school and the DJs who go out of their way to make sure that every individual is having a great time is a site to see. Jim Rio and Music Connection are always there for us providing Chanel High School with the very best on popular music, sound, and added effects. I highly recommend Music Connection for any event. It’s never a disappointment.